Frigo® Cheese Heads® Instant Win Game, $30,000 in Prizes! Want to encourage your kids to eat better this summer? 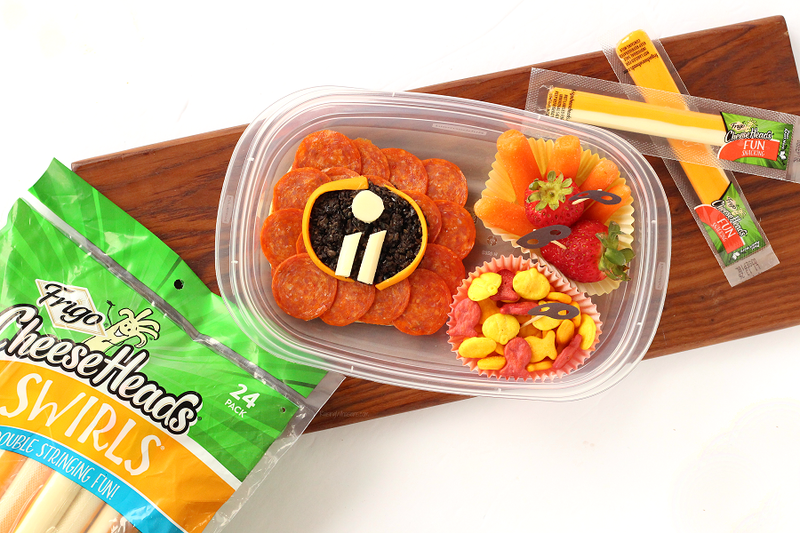 Frigo® Cheese Heads® is the perfect choice for summer snacking! 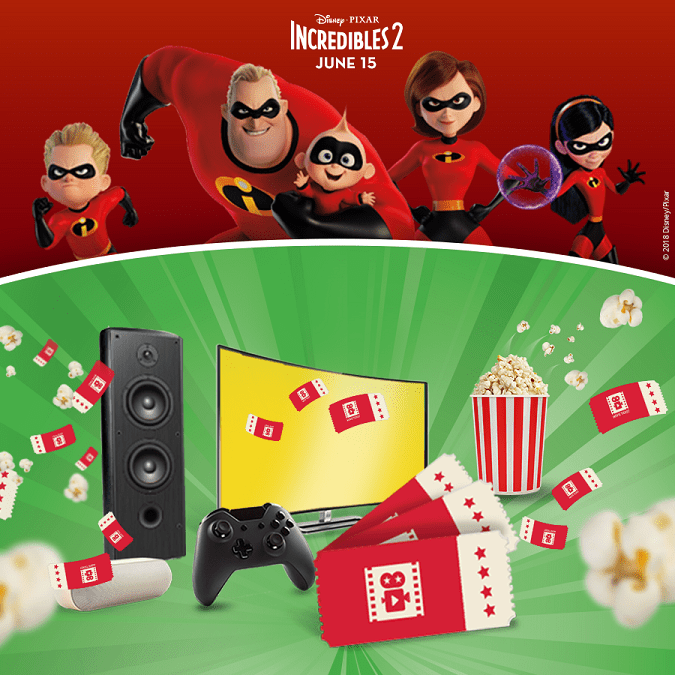 To celebrate Disney Pixar’s Incredibles 2 in theaters June 15th, Frigo Cheese Heads wants to help make your summer snacking even more incredible! Enter the Cheese Heads Instant Win Game now through July 15, 2018 for a chance to win one of the INCREDIBLE prizes including game systems, movie tickets and more! Layer the flatbread with pasta sauce and pepperoni. 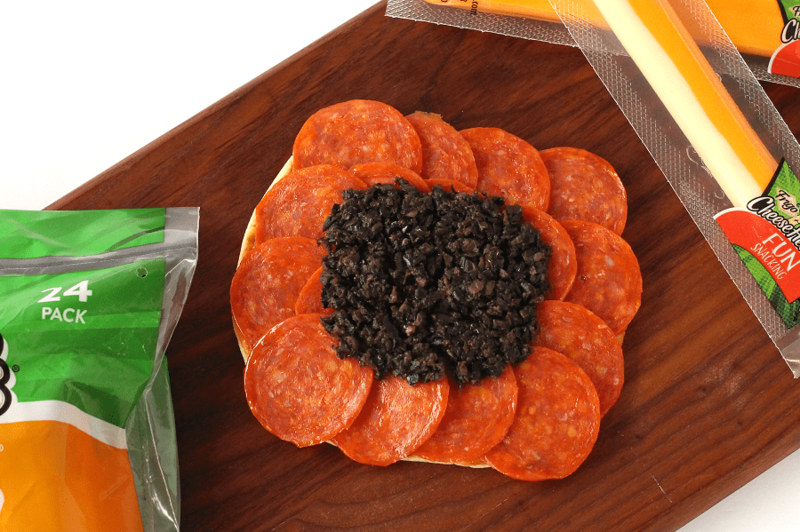 Then top with black olives in an oval shape. 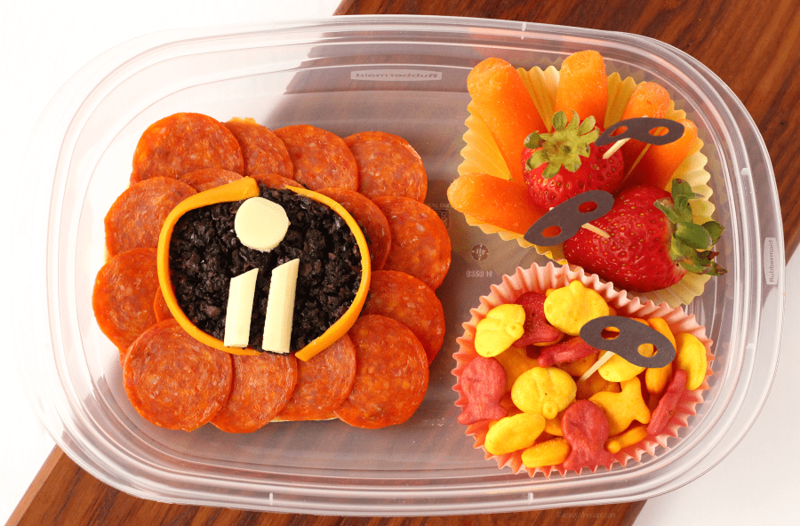 Cut and separate your Frigo® Cheese Heads® Swirls Cheese into a white Incredibles 2 “i” and orange string cheese border (good thing this snacking cheese comes in two colors!). 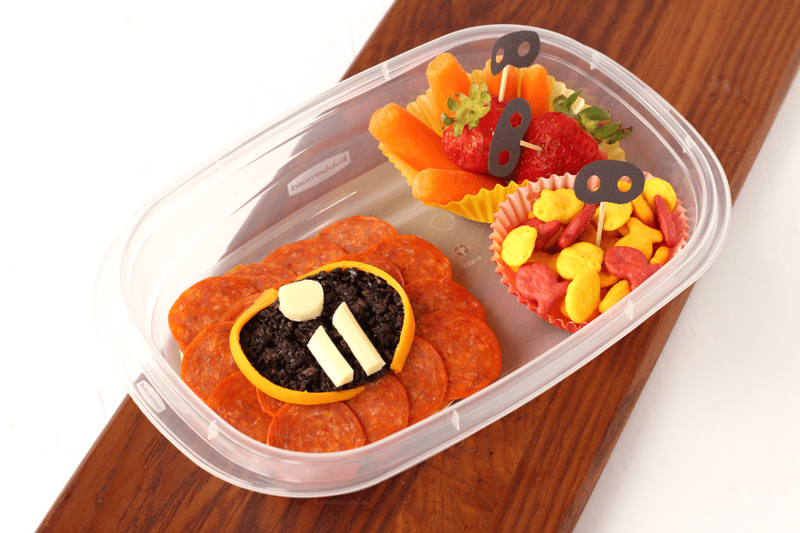 Serve with your child’s favorite fresh fruit, veggies and crackers to complete your Incredible Bento Box! Want to add an extra incredible touch to your bento box? I made these adorable mini Incredibles 2 mask food picks out of black construction paper, single hole puncher, scissors and glue. 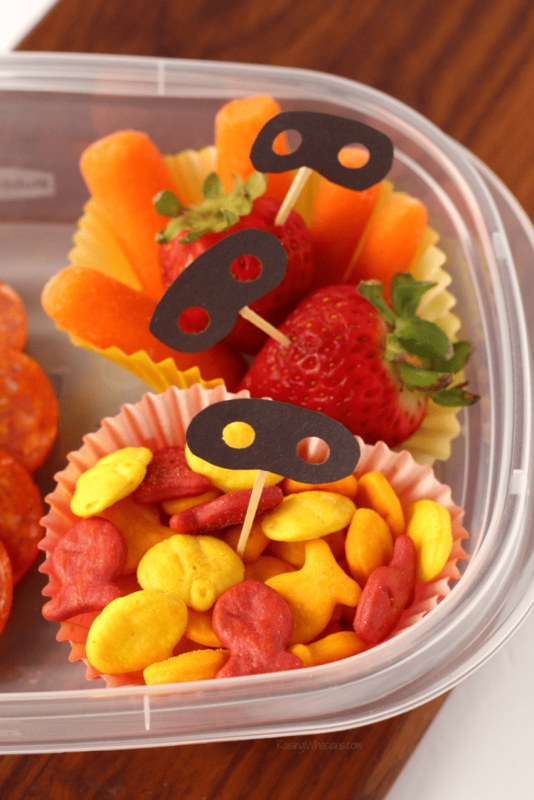 Perfect bento box picks for your child’s favorite veggies and fruits! 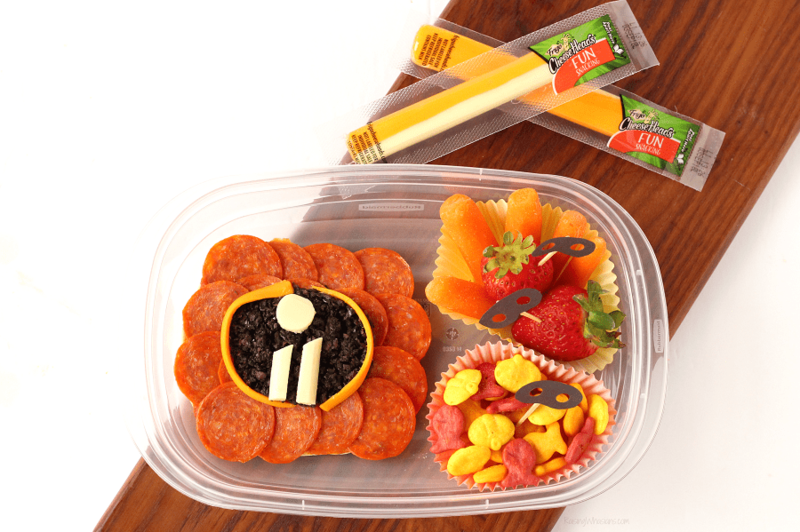 Whether fueling my kids for a busy summer or making their school day extra super this coming fall, we’re so ready to celebrate Disney’s Incredibles 2 with this Easy Incredibles 2 Bento Box. Stock up on Frigo® Cheese Heads® Cheese at your favorite retailer and enter the Cheese Heads Instant Win Game! Follow Frigo® Cheese Heads® via Facebook and Pinterest for the latest in tasty cheese snacking inspiration for the whole family. What I liked about these Bento Boxs were that they made me smile. 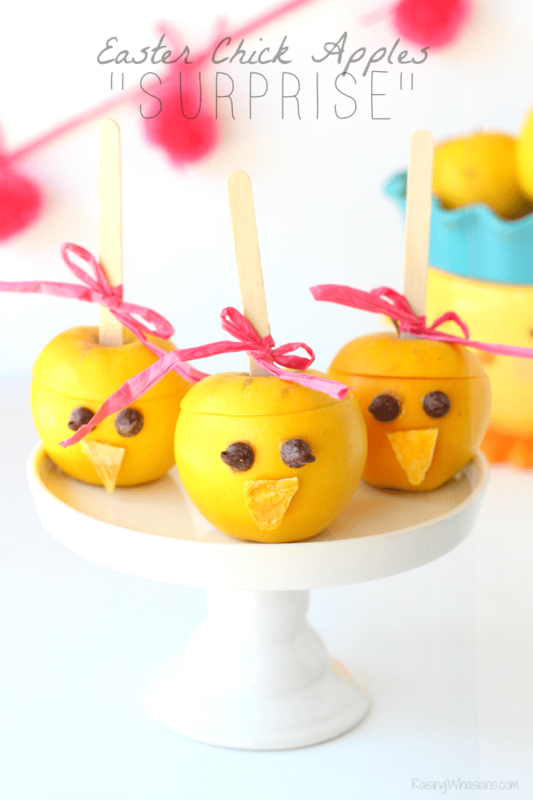 I never thought about making lunch/snack fun. And that is what these boxs were fun and healthy. These are super cute! What a fun way to eat lunch! What a great lunch idea. My grandsons would love this.